We’ll have a cold wet autumn and deep snow this winter. So the ‘old timers’ warned me. Not sure there’s much difference between them and me, at this point. 🙂 And I’ve no particular inkling of impending doom-like weather. But as Issac predicted and warned before the massive Storm of 1900 inundated Galveston – at one point water levels rose four feet in four seconds; not a wave or swell, but a change in depth – so too have the learned tolled their predictions. Which are largely coming true. Down to 8˚ the other night, and we’re still officially mid-autumn. Yesterday hours of drenching 40˚ rain. Not a day to be putting in a water service. Today a bit of clearing. One last opportunity before the fifth ice age covers Philadelphia up to William Penn’s nose. 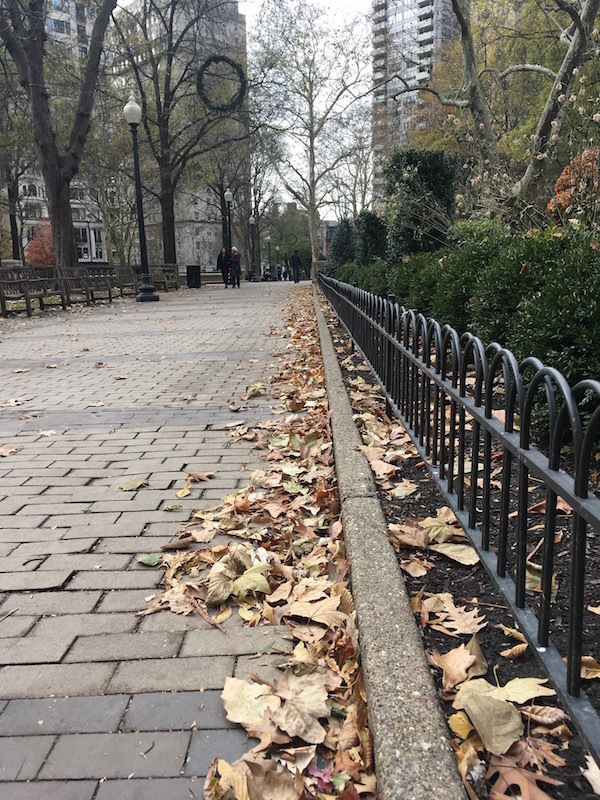 This entry was posted in Gardening and tagged autumn, rittenhouse square.